Roadrunner Records unleashed some amazing new albums last month from Stone Sour, Killswitch Engage and newcomers Kvelertak.The new Stone Sour album, "House of Gold & Bones, Part 2" is continuing the story of last year's "House of Gold & Bones, Part 1." Led by lead sing, Cory Taylor, this latest album has lyrics that dig deeper into his mind as a songwriter. The songs still rock hard with edginess like in "Black John" and "Peckinpah," while Stone Sour explore their softer side with the meaningful "Sadist" and "Blue Smoke." The get down and dirty with the heavy bass groove of "Gravesend" and head into a mainstream metal sound with "The Uncanny Valley." The album closes up with the punk-like fury of "Do Me A Favor," then they add strings to the power ballad "The Conflagration," before finishing up with the eruption of "House Of Gold & Bones." The album was released on April 9 where is entered the Billboard Album charts at #9 and made four straight Stone Sour albums to crack the Top 10. 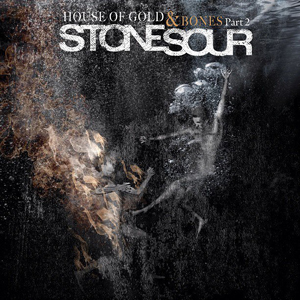 Stone Sour will be touring Europe for the first month of summer, but be sure to visit stonesour.com for the latest information on the band. 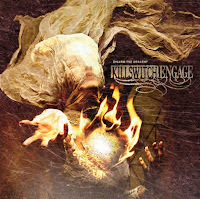 One of Roadrunner Records' heaviest artists is Killswitch Engage as they continue to crank out albums of aggressive attacks that certainly keep the blood pumping. Their latest release, "Disarm The Discent" was released at the beginning of April and entered the Billboard Album chart at #7, their highest charting album to date. The band come blasting out of the get with the high-octane of "The Hell In Me," before continuing with the machine gun drumming of "The New Awakening." The album's lead single, "In Due Time" has a mainstream metal chorus, without losing its aggressive edge with its screaming vocals. The guitars stampede through "A Tribute To The Fallen" with a reckless cause, while the deep howls of "The Turning Point" give the song a darker,more monstrous sound. The album closes with the only moment of breath with "Always" and the speed metal assault of "Time Will Not Remain." Killswitch Engage are taking their new album on the road with a U.S. tour starting at the end of the month. Then they had overseas to Japan at the end of July before making their way over to Europe in August. For more information on the new album "Disarm The Discent" and for a complete list of tour dates, please visit killswitchengage.com. 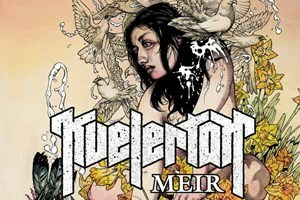 Last, but on least, we get the latest release from Norway rockers Kvelertak entitled "Meir." The album carries a big guitar/drum sound with the lyrics in their native tongue, but with a great metal sound, you don't need to understand the words. The band motors through the song "Trepan," a classic hard rock sound with screaming vocals. They slow the tempo down for "Evig Vandrar" as the song is sure to become an arena rocker during their live shows. The band keeps the energy high and consistent on the almost seven-minute metal attack of "Nekrokosmos," before finishing the album with the nine-minute epic "Tordenbrak" and the classic guitar rock of the band's theme song, "Kvelertak." Kvelertak will be wrapping up their North American tour this week with a couple of shows in Canada. For more information on this rising metal band, please visit kvelertak.com.